SEVEN Networks develops innovative software solutions that deliver device-centric mobile traffic management and analytics for wireless carriers. Extending control from the network to the mobile client gives operators the power to manage and optimize data traffic before it impacts the network. Device-based analytics offer deeper and timelier insight than solutions that are solely network based. SEVEN’s Open Channel products reduce operator costs, increase efficiency in the use of wireless infrastructure, and enhance end-user experience. They bring immediate capacity relief to overloaded networks, simplify the creation of innovative new service plans, and provide actionable intelligence for mobile carriers. SEVEN was founded in 2000. The company has a proven track record of success in the mobile arena, with over three hundred patents and patents pending. It has extensive expertise integrating software both on devices and in networks, and has deep knowledge of the behavior of mobile apps and their impact on wireless networks. Its offerings have earned extensive industry recognition, including a GSMA Technology Breakthrough Award in 2011 and a Mobile Merit Award in 2013. The SEVEN management team has extensive experience in software and internet technologies, wireless, and telecommunications. Since its inception in 2000, SEVEN Networks has been focused on delivering innovative solutions to address the constantly evolving challenges faced by mobile carriers. 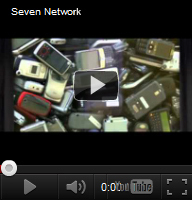 SEVEN Networks is privately funded by some of the world's most respected venture capital firms. SEVEN Networks is changing the world of wireless. Join us for the ride!